What's coming up on the calendar? 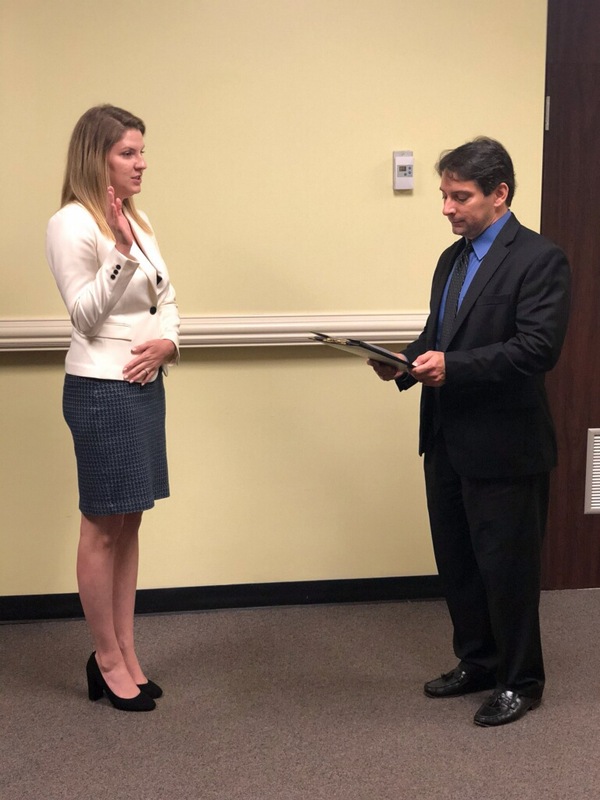 The Administrative Law Section congratulates Angela Morrison on becoming the latest attorney to become certified in State and Federal Government and Administrative Practice. 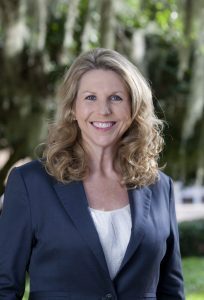 Angela R. Morrison has practiced Administrative Law in Tallahassee since 1990. She began her career with Hopping Green & Sams where she became a shareholder and practiced for 24 years. She later founded Morrison Law, where she has practiced for the last four years. She assists her clients with environmental permitting and compliance matters, with a special emphasis on air quality, climate change, and sustainability. 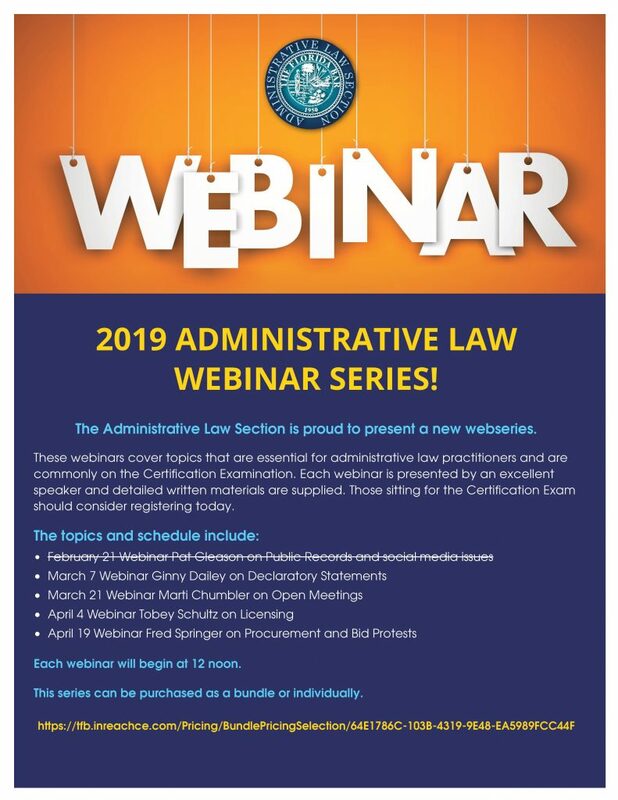 In recent years, she has diversified her practice to include disability rights work at the state and federal levels on behalf of individuals and students under the Americans with Disabilities Act and the Individuals with Disabilities Education Act. 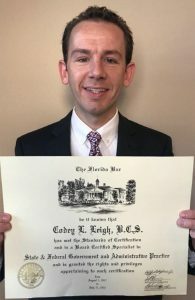 The Administrative Law Section congratulates Codey Leigh on becoming certified in State and Federal Government and Administrative Practice. 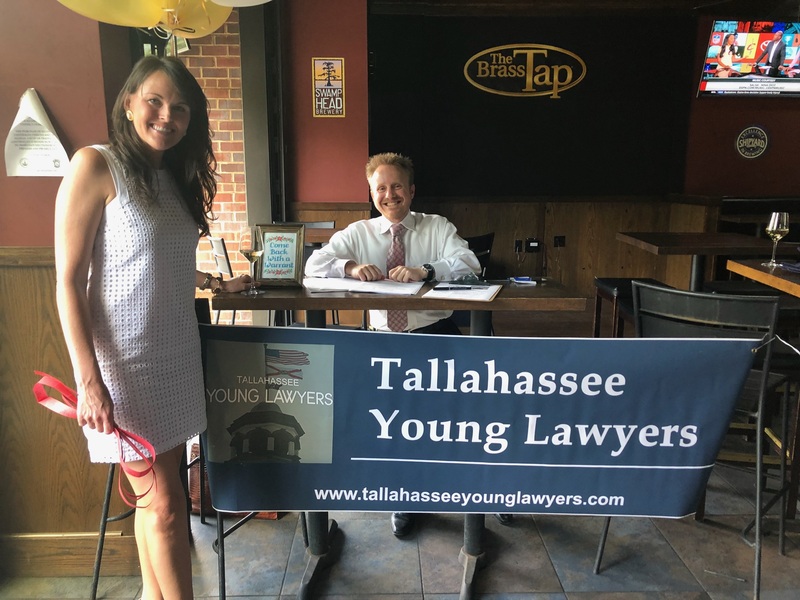 Mr. Leigh is a 2005 graduate of the University of West Florida and a 2008 graduate of the Florida Coastal School of Law. 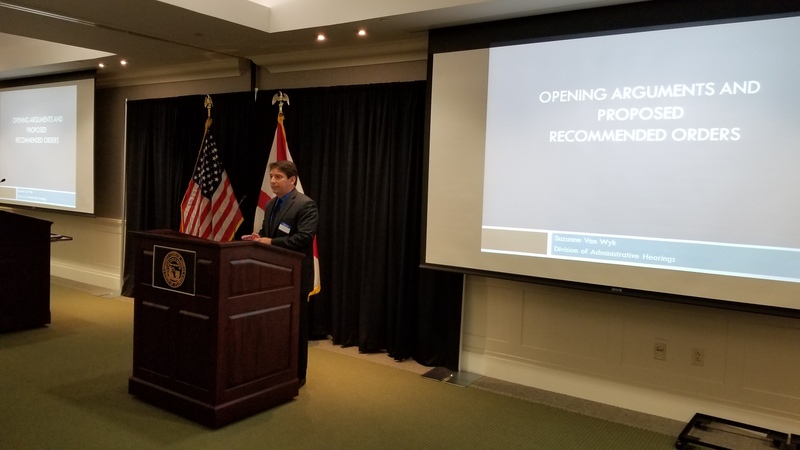 From 2009 to 2016, he served as attorney for the Florida Department of Revenue where he litigated cases before the Circuit Court and Division of Administrative Hearings. 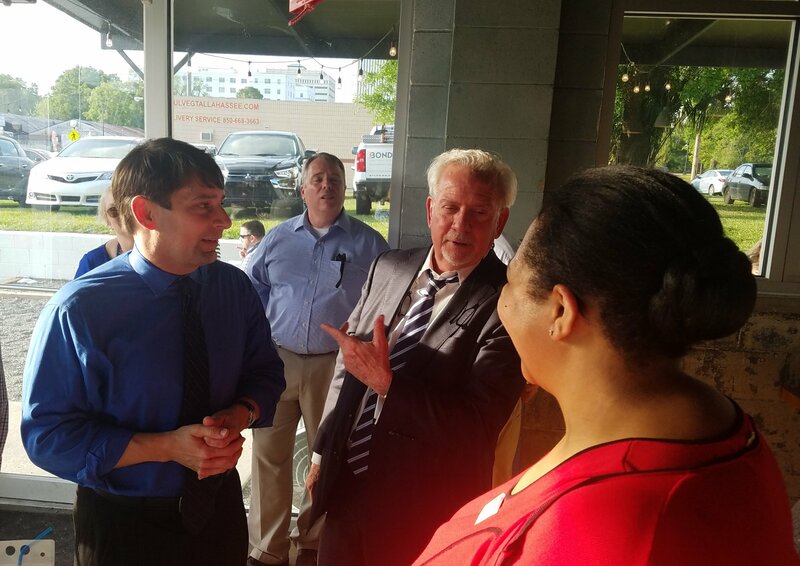 In December of 2016, Mr. Leigh accepted a position with the Escambia County Clerk of Court where he serves as an attorney and Director of Court Services. 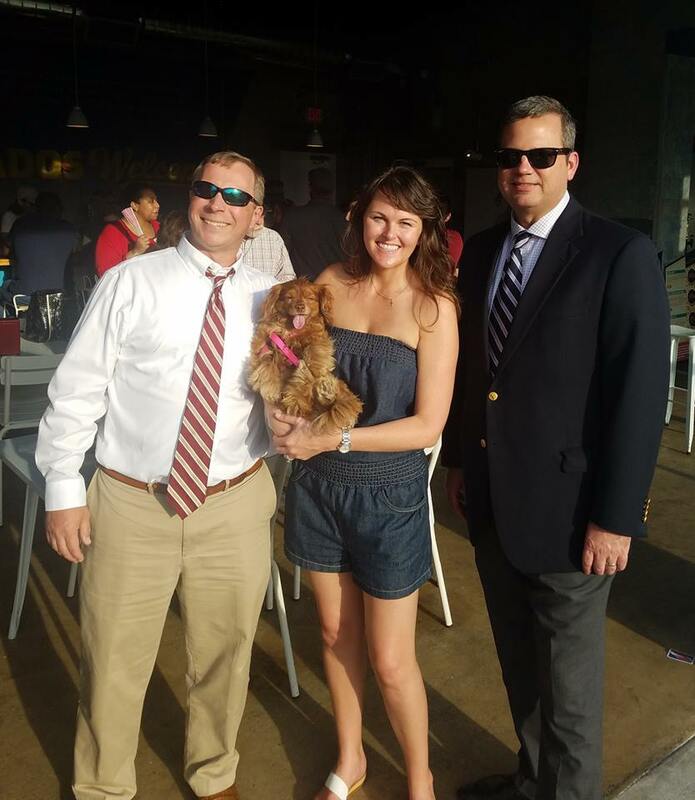 Mr. Leigh and his wife Ashley reside in Pensacola with their son. 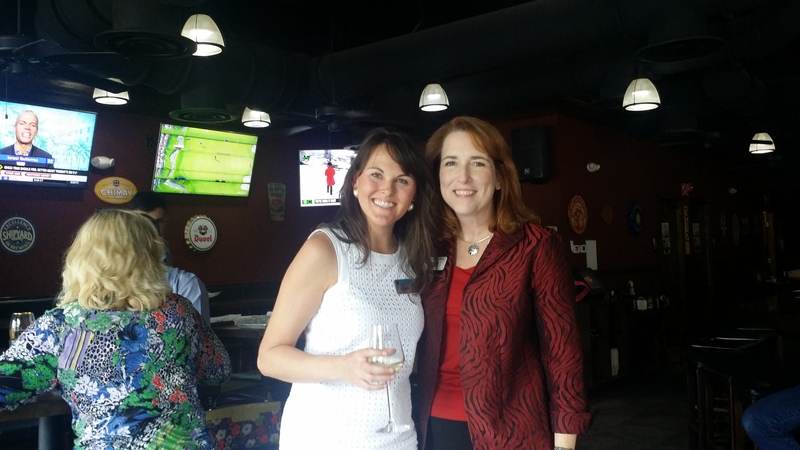 Thank you to everyone who made it out to our Section’s Spring Mixer at Happy Motoring on April 18th. 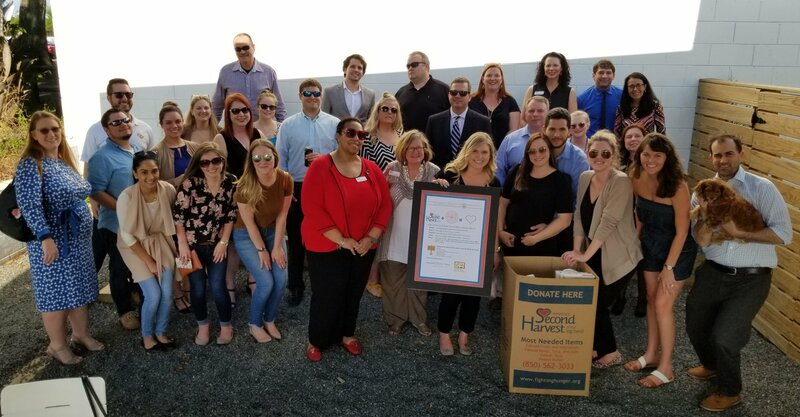 In addition to getting together with local lawyers, judges, and FSU law students, we were able to support Second Harvest of the Big Bend by raising $700 dollars (enough to provide 2,800 meals!) 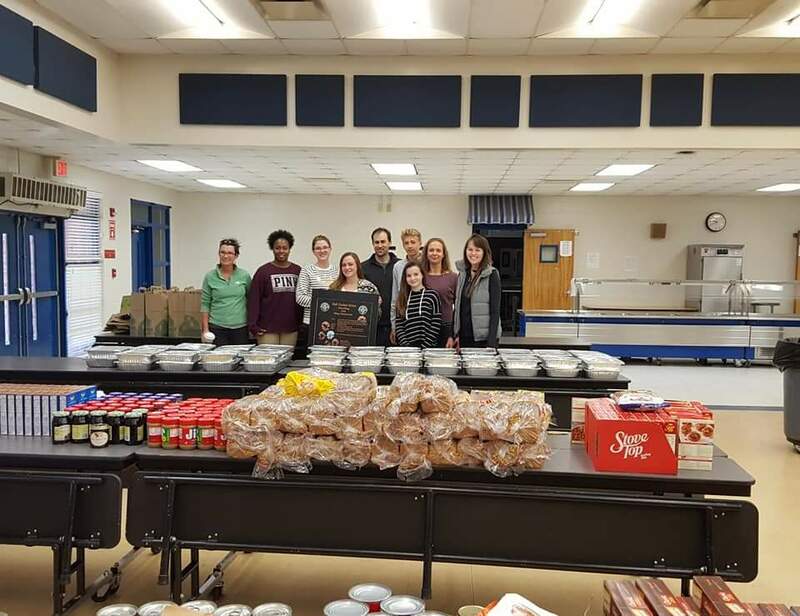 and by donating 327 pounds of food! 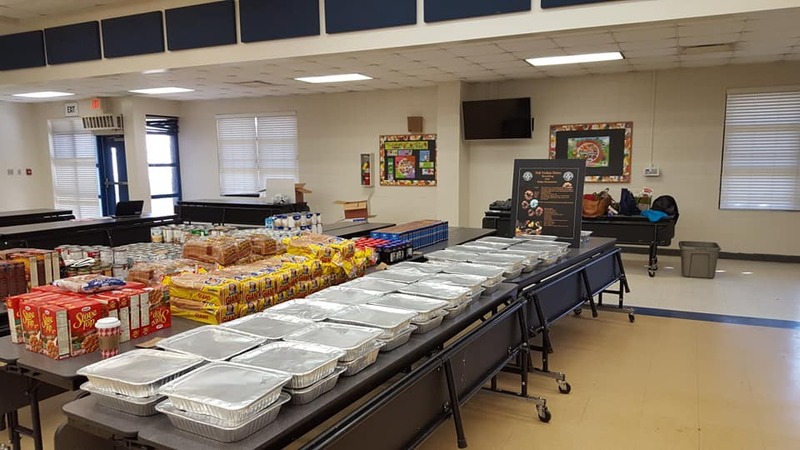 The ALS provided a Thanksgiving meal for dozens of families of Oak Ridge Elementary School. 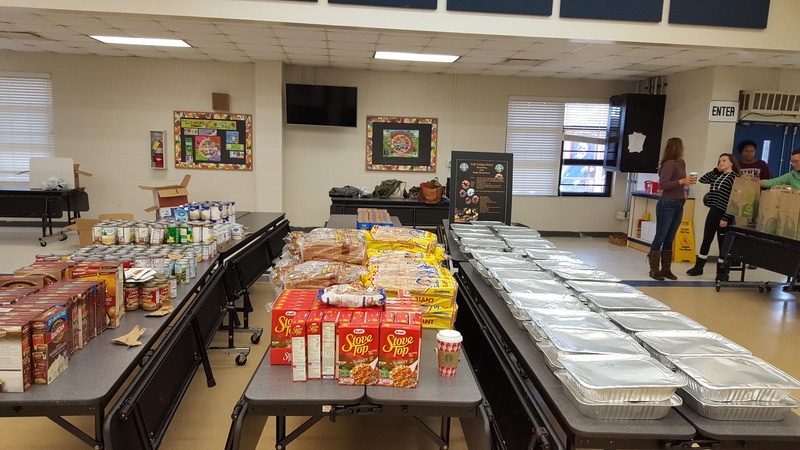 The food drive had some food leftover, and the ALS was able to drop those items off at the Kearney Center, which is an organization that provides 24-hour comprehensive emergency services to individuals experiencing or on-the-verge of experiencing homelessness within the Big Bend (8-county) region. 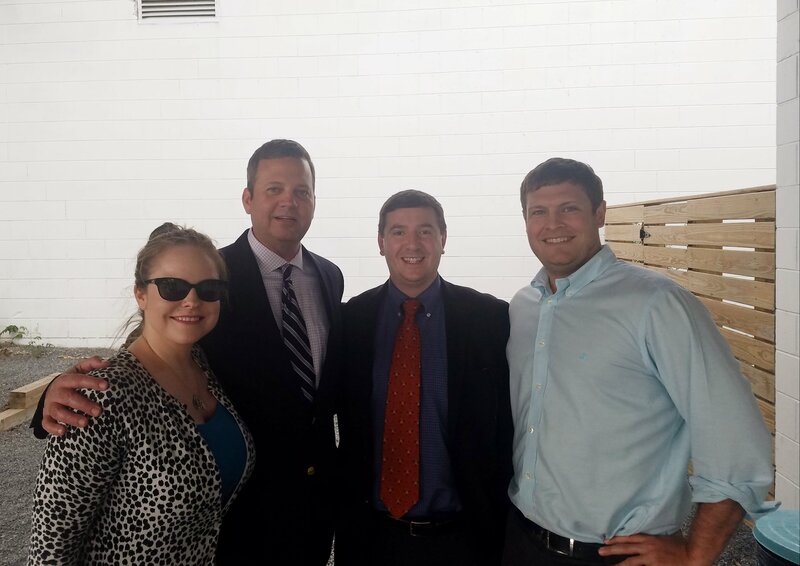 A huge thank you to Flowers Foods in Thomasville, Gunster Law, Pennington Law, Meenan Law, Larry & Cathy Sellers, Gar Chisenhall, James Ross, Virginia Ponder, Alex Lozada, Mattie Birster, Patty Nelson, Amy Schrader, Tabitha Harnage, and everyone else who helped make this inaugural event a MASSIVE success! 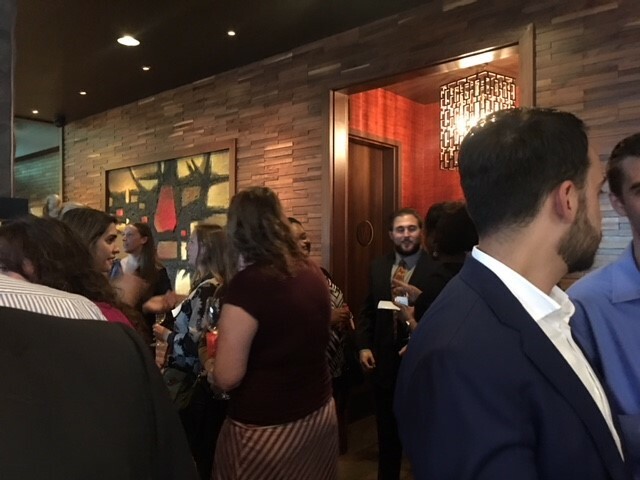 The South Florida Chapter of the Administrative Law Section had their first happy hour in November of 2018. 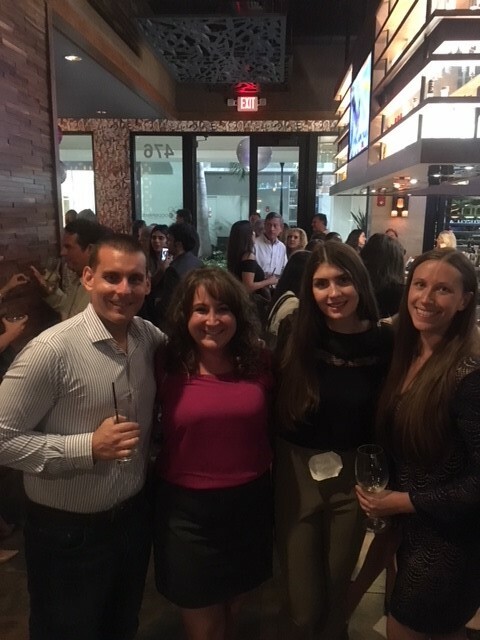 The Section owes Sharlee Edwards and Paula Savchenko a big “thank you” for founding the South Florida Chapter and for organizing its inaugural happy hour. 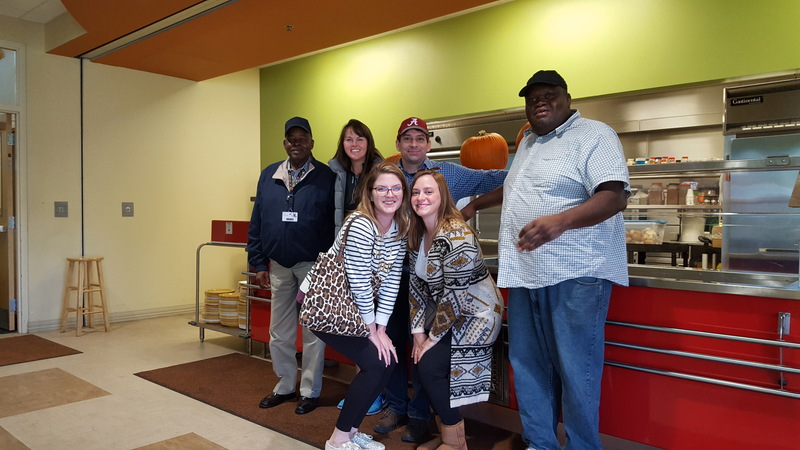 The Section is taking proactive steps to provide value to all of its members. 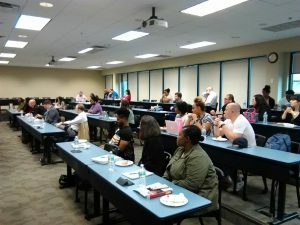 The founding of the South Florida Chapter illustrates how we are reaching out to administrative law practitioners outside of Tallahassee, and it is the Section’s hope that the South Florida Chapter continues to grow, which will invariably lead to the creation of a Central Florida Chapter in the future. 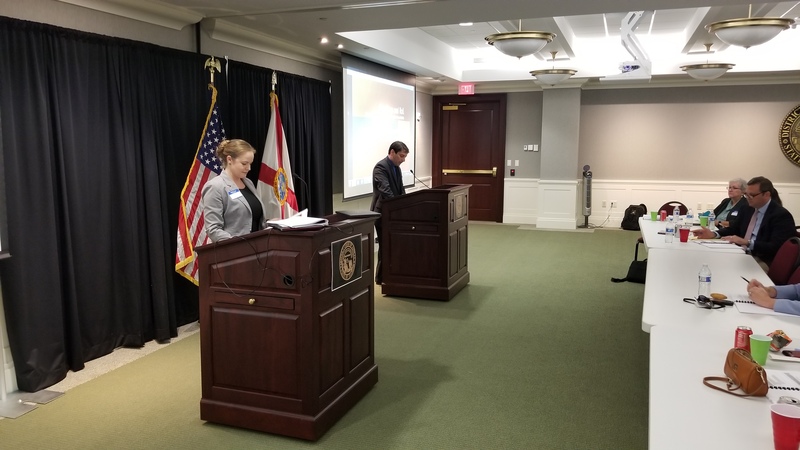 ALJ and ALS Chair Gar Chisenhall swore in new attorney Mattie Birster at FSU College of Law. Ms. Birster is an attorney with the Department of Financial, Division of Workers’ Compensation. 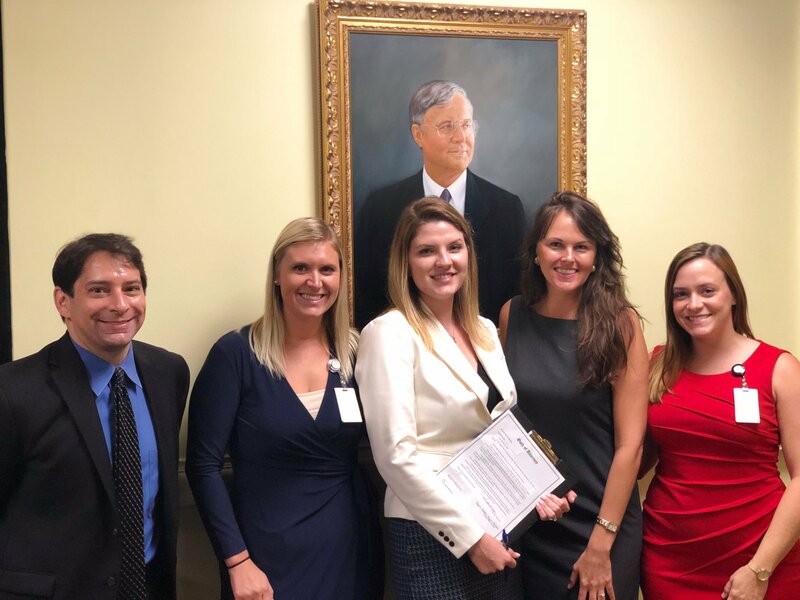 Pictured together with Judge Chisenhall are Taylor Anderson, Mattie Birster, Tabitha Harnage, and Alex Lozada, all attorneys with DFS. 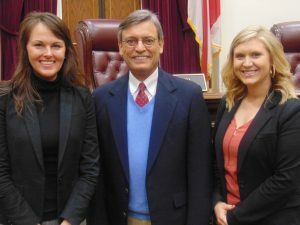 Prior to this, all were a part of the first ever ALS & FSU Law Speaker Series at the FSU College of Law. 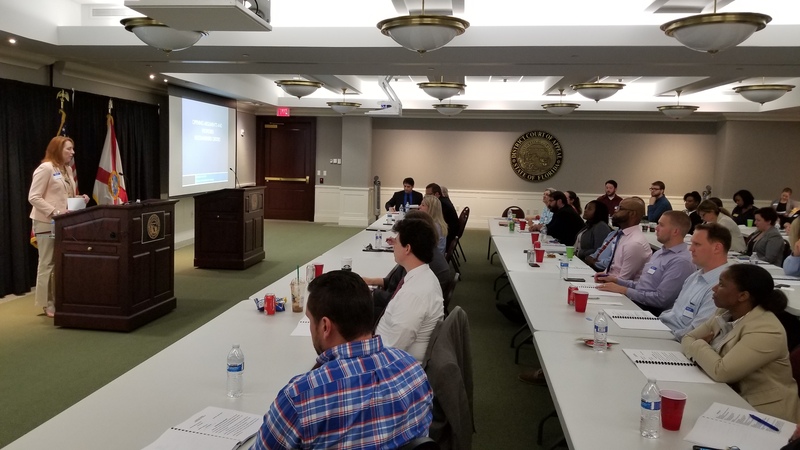 The students were indulged with a catered lunch while getting a summary of what Administrative Law really is and how most attorneys in Tallahassee, and many in Florida, have had some experience with Administrative Law. 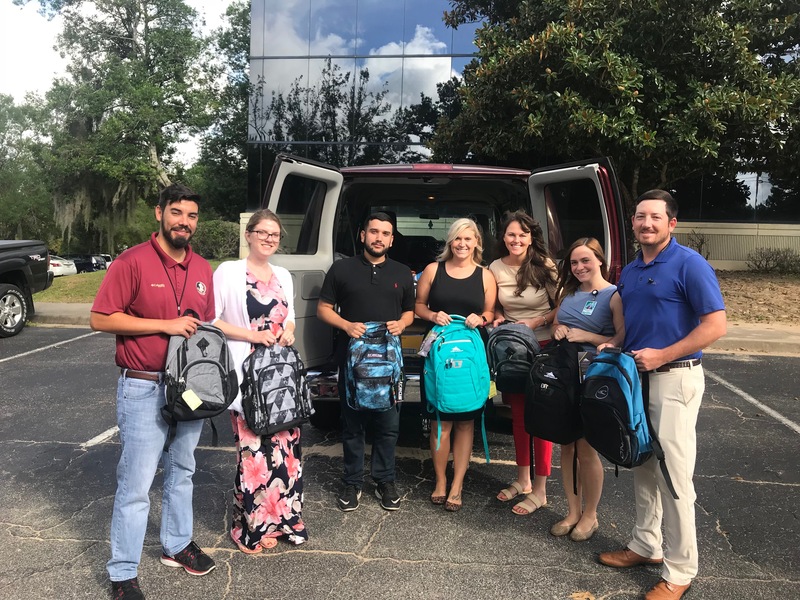 The Administrative Law Section recently partnered with the Meenan Law Firm in Tallahassee in order to collect backpacks and school supplies for the children and teens at Boys Town. 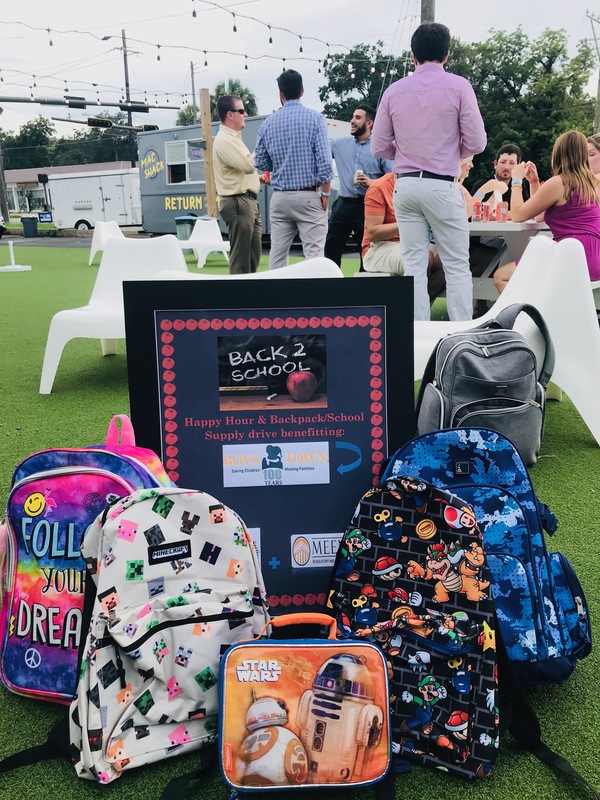 Together the event raised hundreds of dollars in donations and ended up with over 40 backpacks, including hundreds of school supply items. 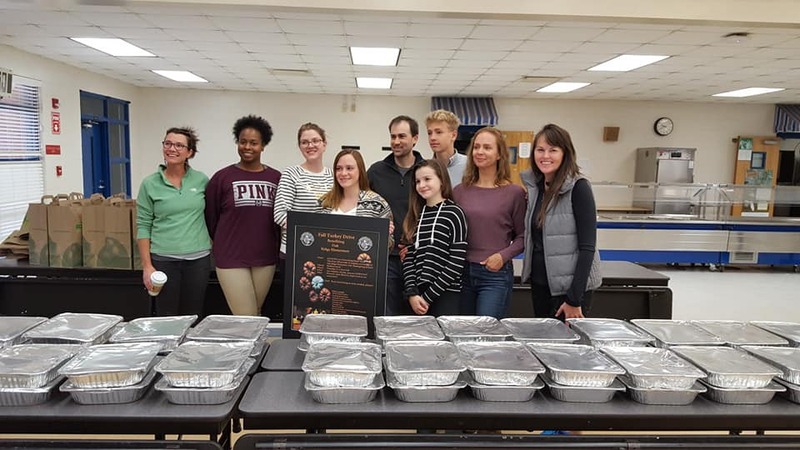 A big thank you to everyone who participated. 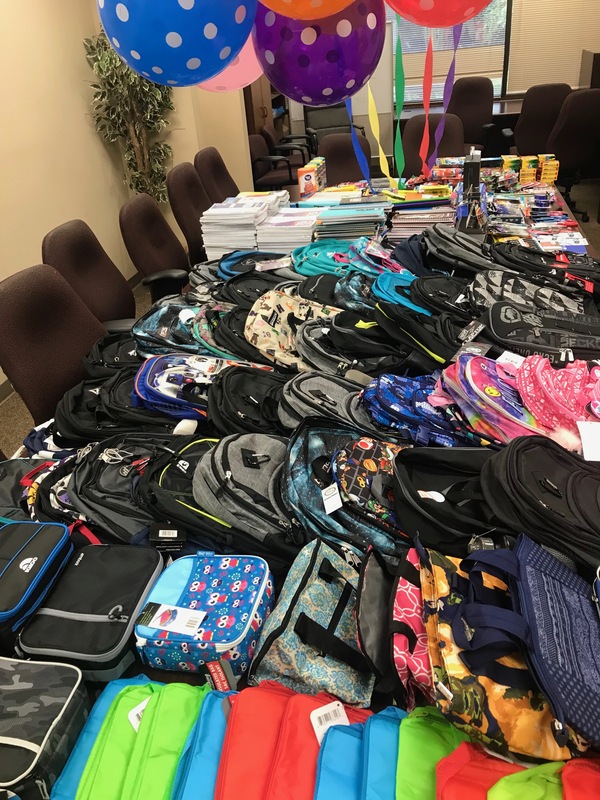 These supplies will be put to excellent use! 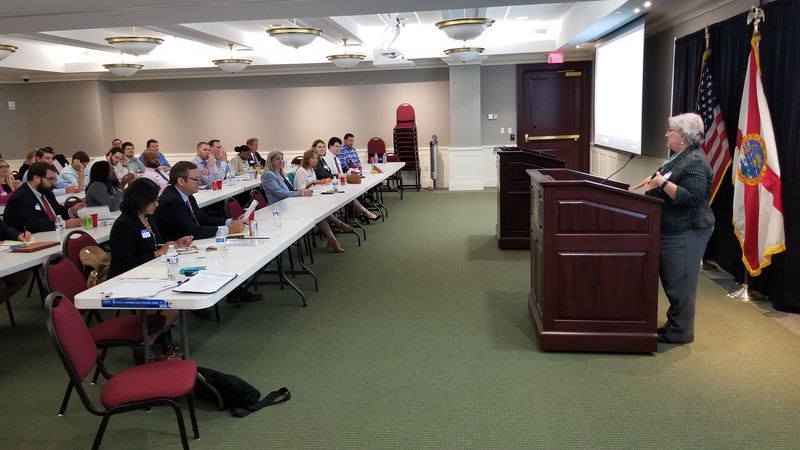 The Administrative Law Section held a CLE at the First District Court of Appeals on June 28, 2018, the topic being the “Nuts and Bolts of Administrative Litigation.” Local attorneys were given thorough instruction on the ins-and-outs of litigating at the Division of Administrative Hearings, including the significance of lay witness and direct expert witness testimony, how to depose and cross-examine experts, as well as the importance of well-prepared pre-hearing statements and how to enter evidence into the record properly. 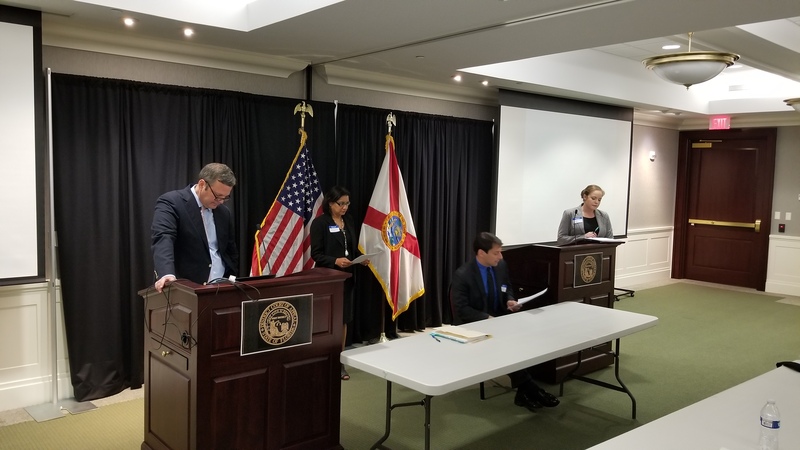 Several Administrative Law Judges gave excellent presentations, including Judge Li Nelson, Suzanne Van Wyk, Garnett Chisenhall, and Hetal Desai. 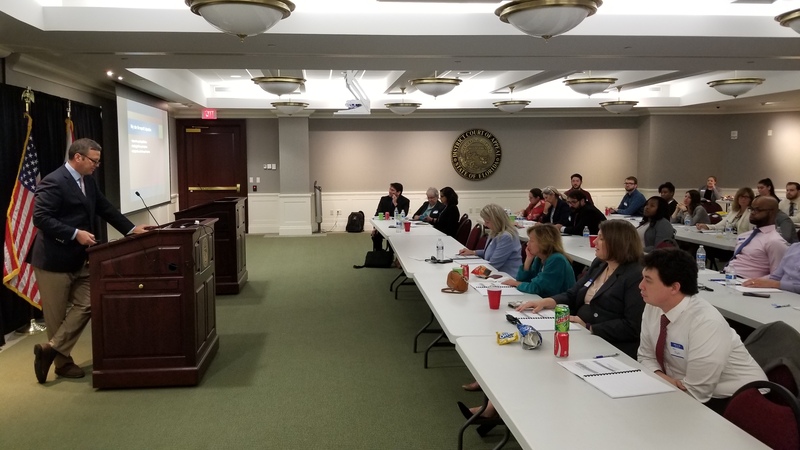 The CLE also included engaging presentations with updated case law from Louise St. Laurent, Deputy General Counsel, Department of Health, and Brian Newman with the Pennington Law Firm in Tallahassee, Florida. 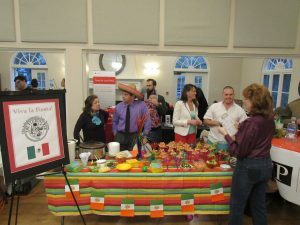 Thank you to everyone who attended and worked to make this CLE so successful! 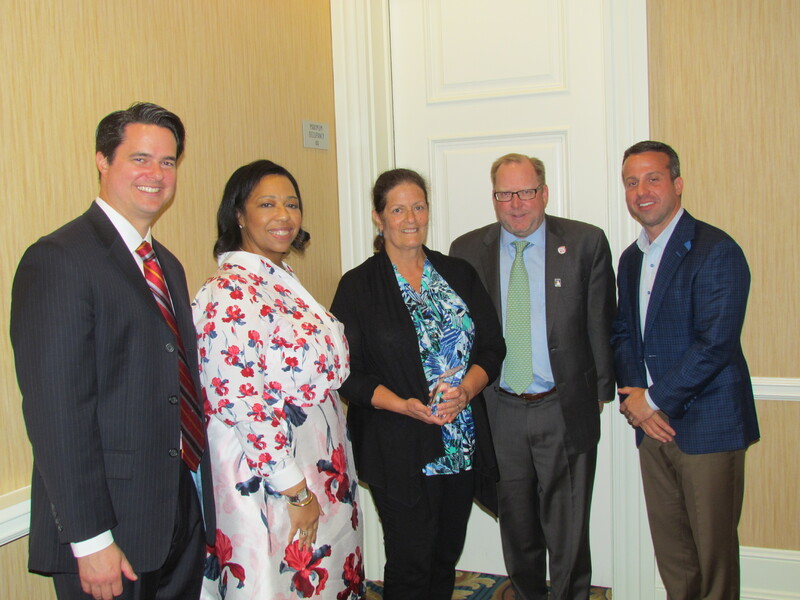 The Administrative Law Section held their Executive Council meeting on June 15, 2018, in conjunction with the Florida Bar Convention. 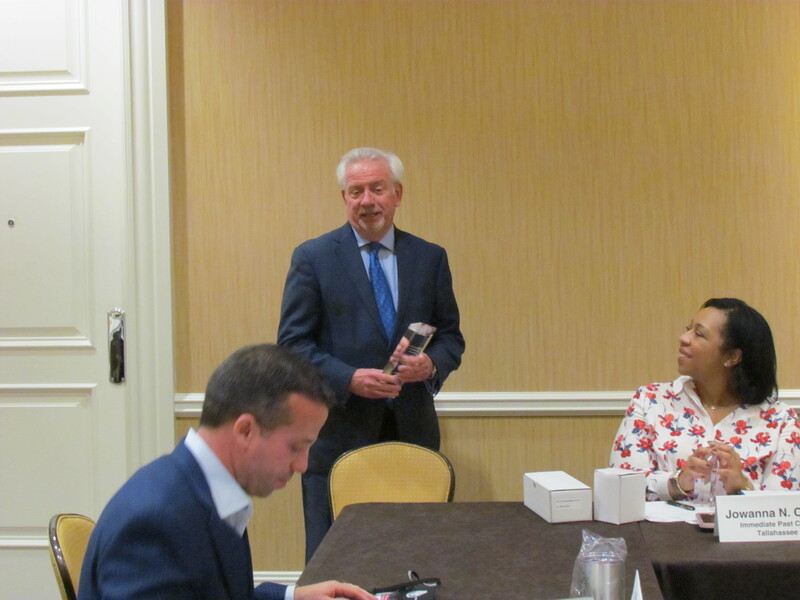 At this meeting, Larry Sellers was presented with the S. Curtis Kiser Administrative Lawyer of the Year Award, which is given to a member of the Florida Bar who has made significant contributions to the field of administrative law in Florida. 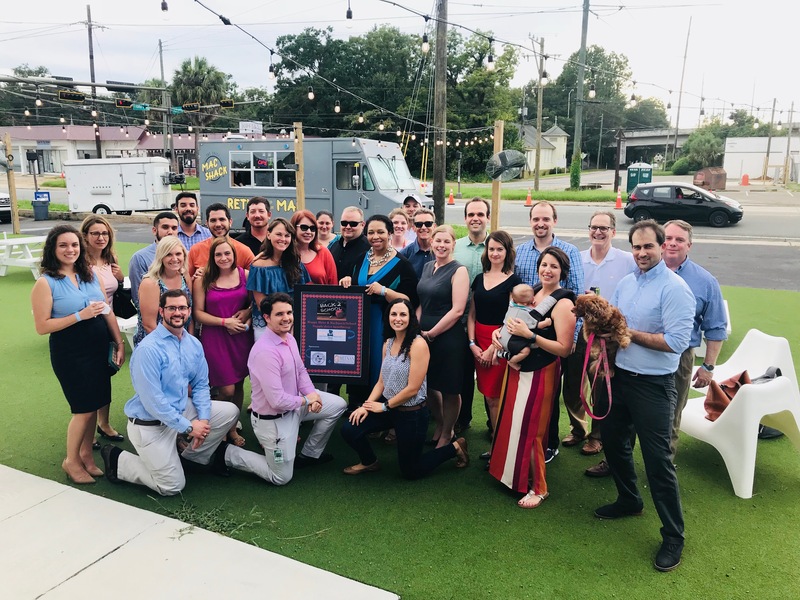 The award is named after Senator S. Curtis Kiser, who has a long and distinguished career in public service to the State of Florida, and who was the prime sponsor of legislation that established the Florida Evidence Code and the Administrative Procedure Act. 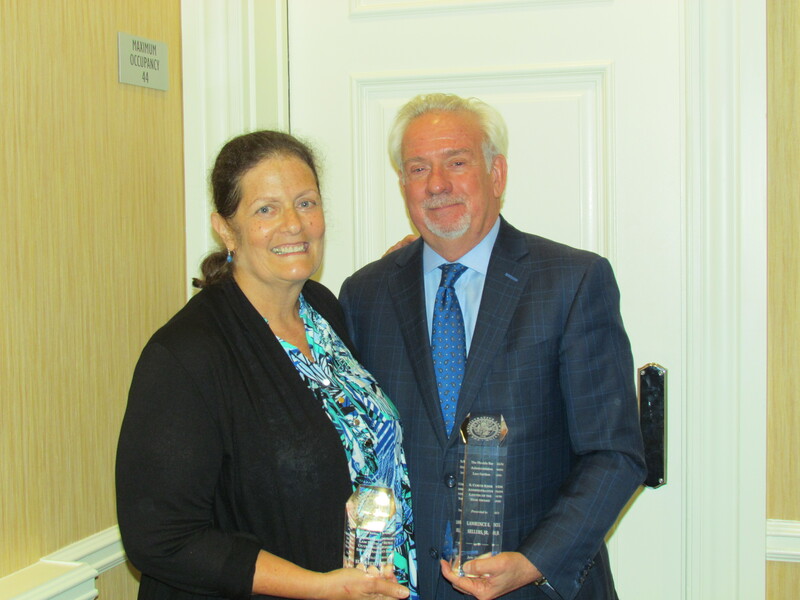 In addition, Judge Elizabeth W. McArthur was presented with the Administrative Law Section Outstanding Service Award, which is given to a member of the Administrative Law Section Executive Council who has provided outstanding leadership for the Section. 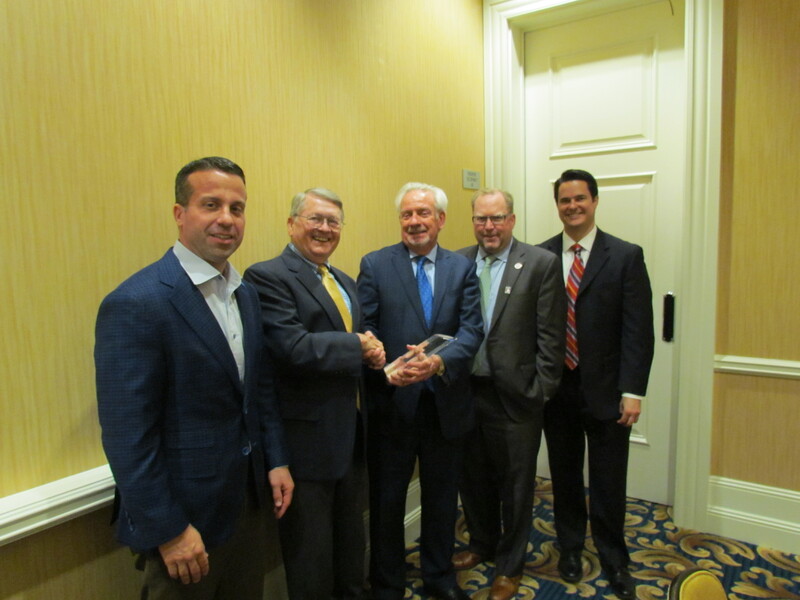 Finally, the Chair baton was passed, with Judge Garnett W. Chisenhall becoming the Administrative Law Section Chair and Robert Hosay becoming the Immediate Past Chair. 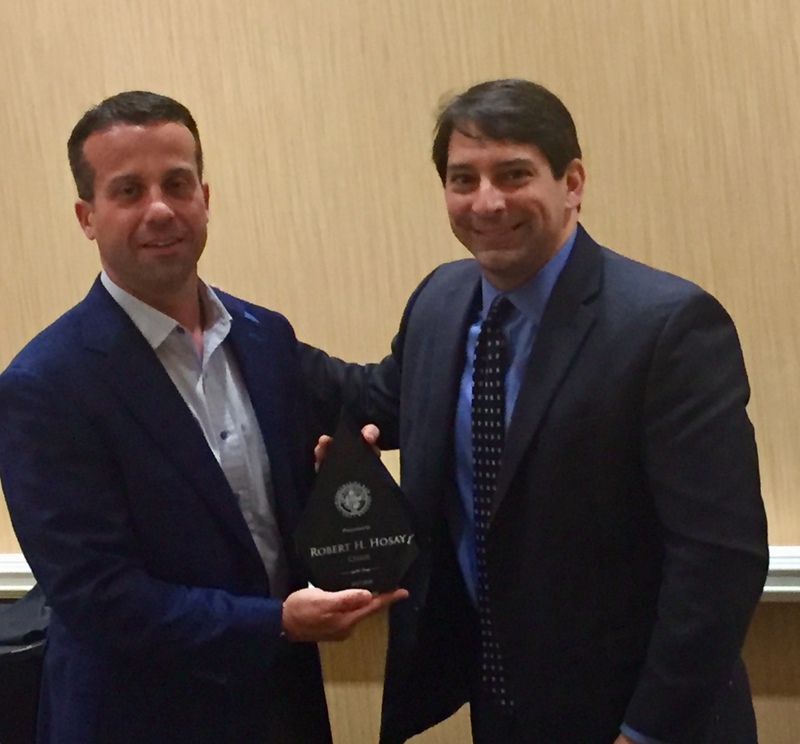 Thank you Robert for your incredible leadership during your term as Chair of the Administrative Law Section! 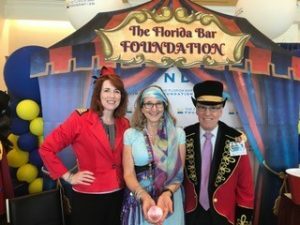 Administrative Law Judge Suzanne Van Wyk recruiting new Florida Bar Foundation Fellows at the Florida Bar Convention. This year’s theme invited everyone under the big top! 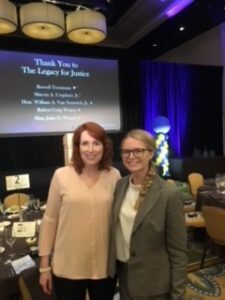 Mentoring matters: Administrative Law Judge Suzanne Van Wyk brought her mentee, Ashley Englund, rising 2L at FSU, to the Florida Bar Foundation Medal of Honor Dinner in conjunction with the Florida Bar Convention. 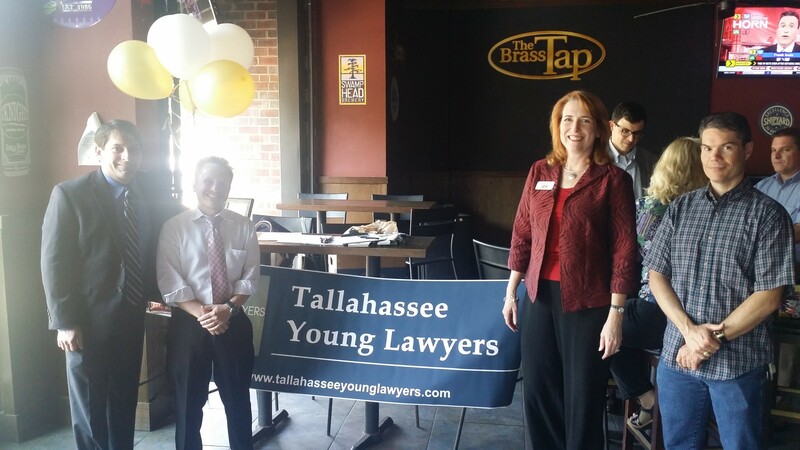 Members of the Administrative Law Section and the Young Lawyers Section joined together to toast and welcome the newest members of the Florida Bar with the “Welcome to the Bar Event.” Held on May 7th, 2018, at a local watering hole in Tallahassee, both old and new members alike shared their love of the law and of dancing! 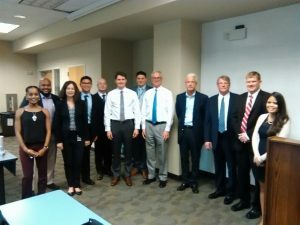 Members of the Administrative Law Section hosted a Lunch and Learn at Florida Coastal School of Law on February 8, 2018. 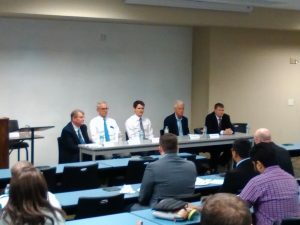 Section members serving on the panel included attorneys Jon Pellett, Wayne Flowers, James Poindexter, David Tucker, and Michael Stanski. 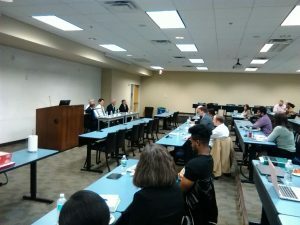 Over 25 students participated in the event, which was an excellent way for law students to be exposed to Administrative Law and the opportunities in this exciting and ever-changing field! 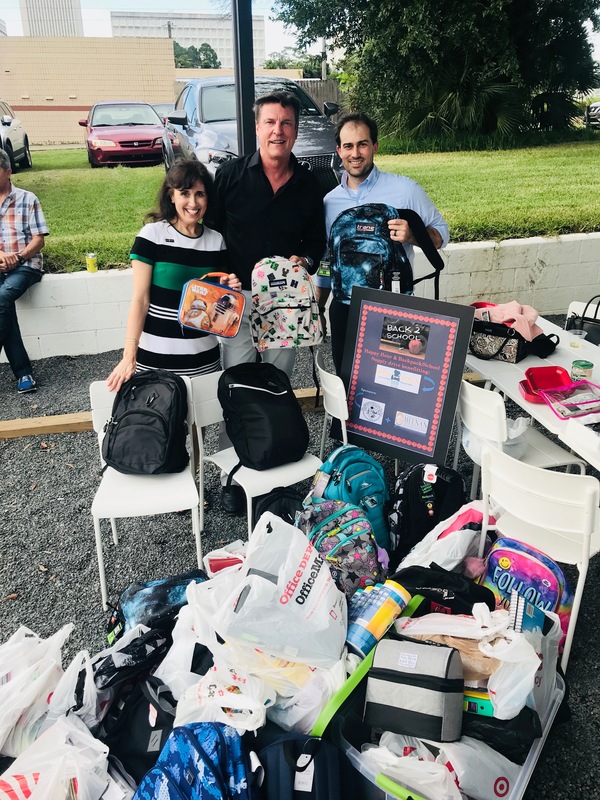 Members of the Administrative Law Section took part in the Tallahassee Bar Association/Legal Aid Foundation 22nd Annual Chili Cookoff at the GFWC Woman’s Club of Tallahassee. 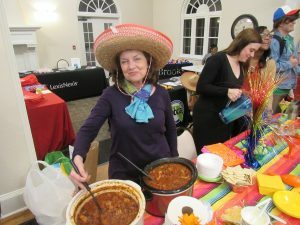 The theme for the Administrative Law Section was “Viva la Fiesta.” Due to their hard work and a pinch of luck, ALS took home the prize of “best tasting chili”! 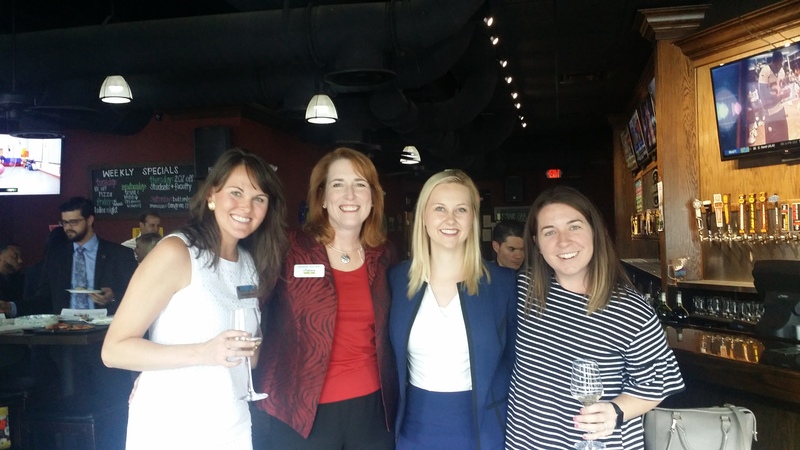 Administrative Law Section members Tabitha Harnage and Taylor Anderson with Chief Justice Labarga at the recent “Girls Where They Are” event. 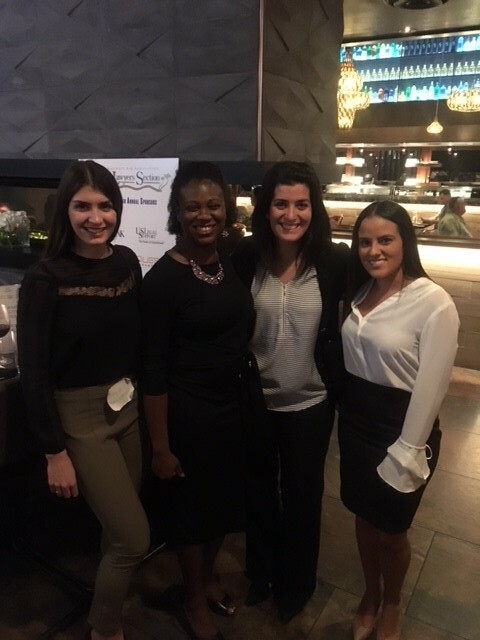 They served as chaperones for Nims Middle School girls while they toured the Senate, the 22nd Floor of the Capitol building, and the Florida Supreme Court. The girls participated in passing a mock bill in the Senate. At the Supreme Court, the girls met and spoke with Chief Justice Labarga.